SKU: 3000. Category: Autographed, Book. Most people think of the Fed as an indispensable institution without which the country’s economy could not properly function. 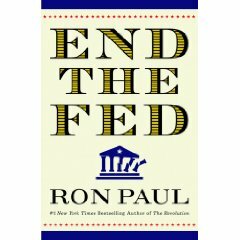 But in END THE FED, Ron Paul draws on American history, economics, and fascinating stories from his own long political life to argue that the Fed is both corrupt and unconstitutional. It is inflating currency today at nearly a Weimar or Zimbabwe level, a practice that threatens to put us into an inflationary depression where $100 bills are worthless. What most people don’t realize is that the Fed — created by the Morgans and Rockefellers at a private club off the coast of Georgia — is actually working against their own personal interests. 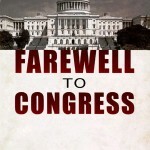 Congressman Paul’s urgent appeal to all citizens and officials tells us where we went wrong and what we need to do fix America’s economic policy for future generations.